We want to let you know about updates to Alexa Calling and Messaging. 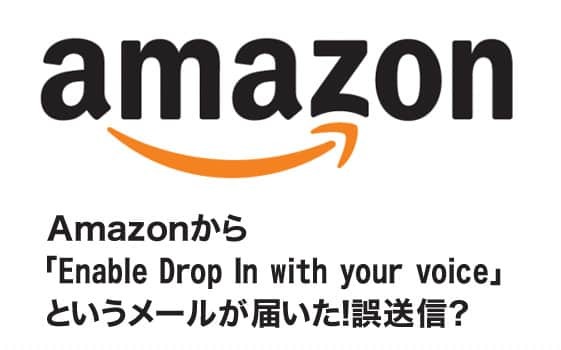 Drop In is an optional feature that helps you connect to other Echo devices like an intercom. 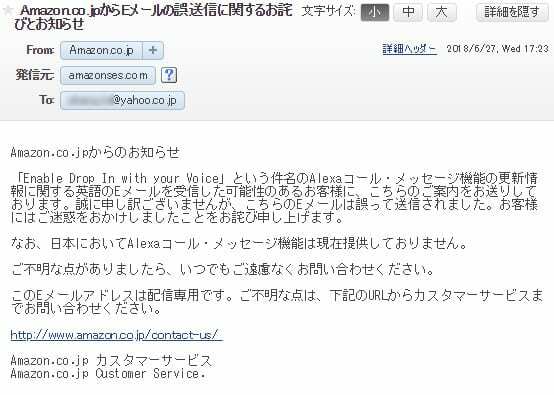 Previously, you needed to register for Alexa Calling and Messaging, enable Drop In from the Alexa app, and remember the names of your Echo devices. 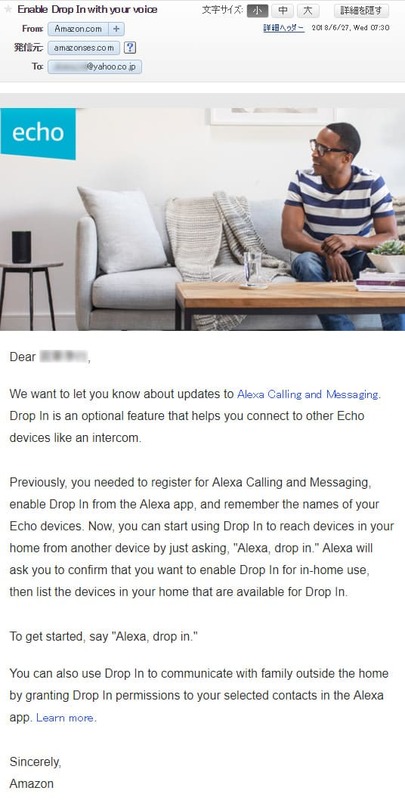 Now, you can start using Drop In to reach devices in your home from another device by just asking, “Alexa, drop in.” Alexa will ask you to confirm that you want to enable Drop In for in-home use, then list the devices in your home that are available for Drop In. You can also use Drop In to communicate with family outside the home by granting Drop In permissions to your selected contacts in the Alexa app. Learn more. Copyright ©2019 パパシャ All Rights Reserved.